Sound Lounges, Tables, Pillows, Dolphins, Bass Pods, Crystal Harp, Crystal Bowls, Alchemical Bowls, Tibetan Bowls, Crystals, Tuning Forks, Tingshas, Hand Drums, Kalimbas, Didgeridoos, Gongs, Rattles, Brain Entrainment Light Glasses, Voice Analysis and Scalar Wave Frequency Transmission Technologies. SPECIFIC PHYSICAL ISSUES Including but not limited to bones, organs, nerves/tendons, arthritis, asthma, chronic fatigue, digestion, muscles, respiratory system, circulatory system, endocrine system, and brain. This treatment is a combination of many of the sessions listed below -- It's a good sampler. You begin with 20 minutes on the Sound Table to bring you into a state of bliss and stillness. You then receive healing sounds on your body, mind and soul from Tuning Forks, Crystal Bowls, Tibetan Bowls and the Voice. All done with 100% focus of Intention to help you heal or harmonize whatever is bothering you -- or, if nothing is bothering you -- to take you to next level of your Spiritual Journey. Good for a wide range of issues, by triggering the body's natural healing response. You can choose a particular issue you would like to work on, or we can do a general healing bringing you into a high state of consciousness. Our specialty is dealing with anxiety and panic attacks. 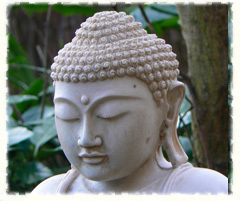 We do a range of treatments for reducing anxiety. We have also developed a technique that actually can get rid of a panic attack. We will teach you this technique and give you a CD that has been extremely effective in reducing anxiety (including tremors in those with Parkinson's). Healing frequencies fill your body as you relax on a special sound table equipped with low frequency transducers. The bass of the song vibrates your whole body. Listen and feel a variety of Healing and Transformational Sounds and Music produced at Globe Institute pulsing through your body, mind and Spirit. It's like an internal massage! Issues: Relaxation, Fibromyalgia (shown to help in a National Institute of Health research project, Neurological Issues (as shown by our own research), Mental Entrainment, and Spiritual Healing and Awakening. Integrated massage on the sound table with a licensed massage practitioner -- It's like getting a massage inside and out at the same time. There is nothing better. Good for a wide range of issues -- particularly muscle strain, tension and stress. Nutri-Energetics Systems® (NES) is a pioneering approach to integrative, holistic health based on decades of research into the human body-field -- a structured web of information and energy that influences the state of our overall health and well-being. These "morphogenetic fields" are non-local brains that control different parts of the body. The assessment tests the integrity of each of the fields in the body. 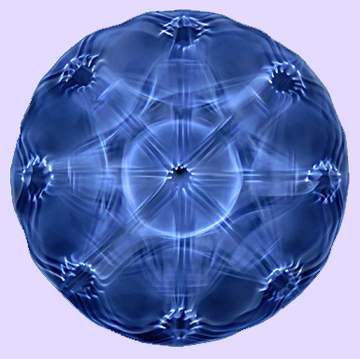 The treatments are infoceuticals, which are mineral water infused with frequencies and geometric structures designed to resonate the morphogenetic fields back into harmony. Specific issues include chronic fatigue, fibromyalgia, arthritis, asthma, digestion, respiratory system, circulatory system, endocrine system, specific organs and brain. Clients have reported help with each one of these areas. The frequencies used in a cymatherapy session come from the most detailed research in the field of Sound Healing and Therapy. Specific issues include bones, nerves/tendons, arthritis, asthma, chronic fatigue, digestion, muscles, respiratory system, circulatory system, endocrine system, and brain. Triggers the body's own healing response and we have many testimonials claiming dramatic results. It has become generally accepted and researched that each person vibrates at their own soul frequency and when you resonate at this frequency all of your organs fall into alignment. Once you find this frequency you now know where home is -- where you are perfectly present and at peace. You may also access information from your Soul. Good for Grounding , Centering, Scatteredness, Soul Purpose, Peace and Stillness, and Spiritual Awakening. Also good for just about any issue in your body as it triggers the body's natural healing response. our voice is a holographic picture of your health. Through the technology of Voice Bio©™, the independent frequencies within your voice can be captured, translated and sorted onto a voice print chart, giving a highly accurate indication of physical function in your body. Missing frequencies in your voice have been shown to correlate to weak organs in the body. The missing frequencies are reintroduced into your system on the sound table. You then get the CD to take and use at home. Good for any specific issues related to organs or diseases. Helpful for emotional issues as well. Good overall balancing of your system. We have many testimonials demonstrating these healing responses. The system does not claim to diagnose or cure. $85 - Assessment and 20 minutes on the sound table with a song in the key of the frequency you need. You also get to take home the CD. Approximately 1 hour total. Precisely calibrated tuning forks are applied to specific points -- chakras, acupuncture and acupressure points on the body -- to balance the meridian and chakra energy systems. Especially effective for pain (as shown by over 100 clients), but also good for balancing the energy flow in your meridians and throughout your body. It's like getting a massage on specific parts of your body. The Sound Therapist uses the voice to do an assessment sound scan of the body. Using the information gathered from the assessment we then connect to Source and allow Spirit to transmit healing sounds throughout your body and psyche. Especially good for physical issues related to emotional blockages -- particularly cancer. Also good for general clearing of negative energy in your system to create more harmonious healthy flow of energy. This treatment uses a combination of Tuning Forks, Crystal Bowls, Tibetan Bowls, Voice, Sound Table, and Guided Meditation to balance all of the chakras. 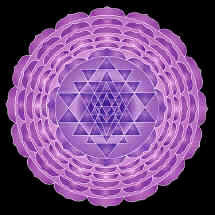 When all of the chakras are in alignment your whole system functions more in tune with nature and Spirit. Especially effective for Anxiety and Panic Attacks (as demonstrated by feedback from a large number of clients). Also, one of the most powerful treatments for removing blockages in your system -- particularly those around relationships and your Spiritual path. One of the main types of ADD/ADHD is where a person is unable to access the fast brainwave rhythm of Beta in order to think and process information. Everybody naturally has a little bit different Beta rhythm. Our assessment helps you to find your natural rhythm and we then give you a CD with the Beta frequencies tuned to you -- so you can once again focus. The online self-test may be done now or at your convenience. You listen to 12 different examples of Beta frequencies and perform focus tests for each Beta frequency to see which allows you to focus the best. $148 - Receive a CD with the Beta frequencies embedded in music to entrain your brain into a coherent state. Especially effective for ADD, ADHD, memory enhancement, learning disabilities, creativity enhancement, and sleep disorders. We have a wide range of testimonials demonstrating these results. These sessions are uniquely designed for each person to address whatever issues you’re wanting to address in your life, including health, relationship and money issues. They also help to raise your vibration which will assist you in replacing old patterns with the awareness of choosing new direction and possibilities for your life. Using time honored skills based the tradition of psychology, coupled with the field of Sound Healing and powerful energy techniques, Diane will help you help you release any patterns and emotions that may be troubling you, and allow you to reconnect to your deeper nature where you can connect more to your own inner guidance. You begin with 20 minutes on the sound table to get you into a peaceful and receptive state. You also receive a free guided meditation CD with the first session. A unique treatment that combines psychology, spirituality and sound therapy to create highly personal CD’s of music, custom crafted to address specific issues, or life experiences. We begin with a Root/Soul Assessment (see above). You will receive a CD embedded with intention, binaural beats that has been created specifically for your particular issues -- in detail. The CD also includes sounds and music to bring you into higher states of consciousness. Especially helpful for specific chronic issues or general harmonizing your system (as demonstrated from previous client feedback). Especially helpful for putting you back in your own body and back on track with your Soul purpose. $185 for a 20 minute CD. You must have a Webcam and access to Skype. We have done controlled research with 12 Parkinson's patients and have found the treatments to be extremely effective for reducing symptoms associated with Parkinson's. Generally the effects of the treatment last 24 - 48 hours (a good night's sleep and reduced meds). It has become generally accepted and researched that each person vibrates at their own soul frequency, which is also your root chakra. Using a variety of techniques, we find this frequency. We then play a preprogrammed CD in your soul key through the sound table. And, you get to take the your root frequency CD home. $50 - Assessment only takes about 15 minutes. We then immediately give you a link for the CD in your key. We can also mail you the CD if you would prefer to pay for shipping. You must have a Webcam and access to Skype. We perform a Root/Soul Assessment (see left), then we create a CD in your key with Alpha frequencies embedded in the music to entrain your brain into a coherent state. $75 - Assessment only takes about 15 minutes. You then receive the download link for the CD within 24 hours. We can also mail you the CD if you would prefer to pay for shipping. Cymatherapy® transmits well-researched frequencies to the body’s organs and tissues that are associated with healthy cells and healthy cell function, supporting the body’s natural healing abilities. You play the frequencies back on simple external computer speakers. $30 for a CD for a particular issue that you can play on your external speakers. Your voice is a holographic picture of your health. Through the technology of Voice Bio©™, the independent frequencies within your voice can be captured, translated and sorted onto a voice print chart, giving a highly accurate indication of physical function in your body. Missing frequencies in your voice have been shown to correlate to weak organs in the body. The missing frequencies are reintroduced into your system by listening to your CD with your missing frequencies. Toning along with the CD enhances the effect of returning your system to a healthy balance of all the pitches. $65 - May be done over the phone or Skype You may download the CD, or pay to have it shipped. We discuss your problem in detail, then connect to Source, set our intention and allow Spirit to transmit healing sounds through us into your system. This is a treatment that we teach in the online classes and has proven to be incredibly effective. Treatment may be done over the phone or on Skype. Especially good for physical issues related to emotional blockages. Also good for general clearing of negative energy in your system to create more harmonious healthy flow of energy. Especially helpful for specific chronic issues or general harmonizing your system. Especially helpful for putting you back in your own body and on with your Soul purpose. Especially effective for any emotional issues -- particularly those that are causing physical problems in your body. Also helpful to clarify your life path. The Sound Therapy Center and any of its products do not diagnose, cure, prevent or treat disease. If you have a medical condition or concern, please consult an appropriate health care professional. The Therapy Center information and offerings have not been evaluated by any government agency or regulatory organization -- including the FDA. We can legally say the treatments do provide relaxation and stress relief, which has been shown to be a contributor to most issues emotionally and physically. There is ample research showing the effectiveness of the techniques and we have quoted them where appropriate.